I have been attending enterprise eLearning conferences for the past 15 years, so I have a good sense of what is fresh and new in this industry. When I attend a conference like DevLearn 2013, I am often looking for what is innovative, rather than products and services I’ve already seen (of course, this doesn’t reflect on the quality of products or services that I already know about). That said, here are 12 companies that I found new and interesting in my rounds of speaking to exhibitors at last week’s DevLearn conference in Las Vegas. For many people in L&D, learning is about accumulating and retaining knowledge about specific subjects. BrainX uses patented technology to support a better way of online teaching that retains knowledge longer than most SCORM-based LMSs. The addition of personalized adaptive teaching that works on mobile devices, tablets, and desktops, is a fresh trend that will accelerate in the next couple of years. The Capsim Assessment Lab produces diagnostic data for management assessment, training and development, and succession planning. It uses business simulations of the executive suite to test, evaluate and train people on their business decisions. Reports compare an individual’s results with two populations – managers drawn from the general economy and managers from inside your organization. 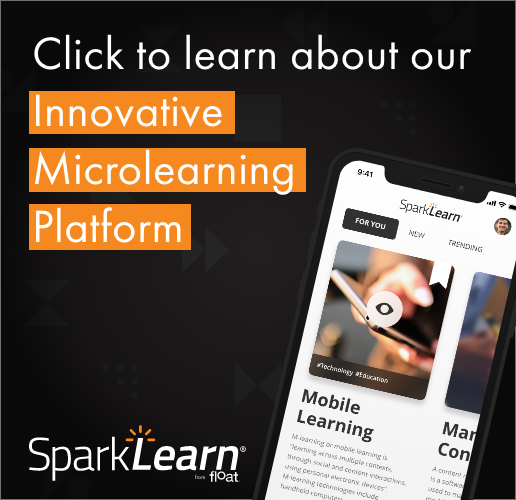 Cognitive Advisors is one of the few enterprise learning products that goes beyond a simplistic model of learning based on courses and test-taking. Instead, the TREK Learning Experience Manager tracks formal, informal and experiential learning, and provides individualized learning paths to the achievement of key competencies. It is a mobile, cloud-based application that uses the Experience API to track and report on learning results. Cognitive Advisors also won a DemoFest award for best-blended learning course. While the eLearning Guild was not an exhibitor, per se – they were the hosts of this conference – I was intrigued by their new Guild Academy, headed by L&D industry veteran Janet Clarey. Janet is a former colleague of mine at Brandon Hall Research, who, I am sure, will do an outstanding job leading this new initiative from the Guild. Already, the first sessions are sold out, and in the new year, watch for additional topics that will certainly be of interest to everyone in the learning and development field. If you would like to be an instructor for the Guild Academy, check out the directions on how to submit a proposal. Enable Education is a Canadian company that provided the LEGO Mindstorms robotics demonstration on the exhibit hall stage. They also set up a couple of demonstrations of the WeDo programming language to show how easy it was to work with. As well, Enable President Ben Zimmer showed me a virtual lab app called Infinite Octopus where engineering students can control real equipment remotely, and see the results of their decisions. Epic Learning Group in the UK had big news at DevLearn – that they were doing a reverse takeover in order to be listed on the London Stock Exchange. As part of this new direction, Epic’s multi-device authoring platform, GoMo, will be spun off as a separate company. New resources will be put into GoMo in order to make it a more robust platform for authoring and publishing across many formats, including mobile. While I work for Float Mobile Learning, as exhibitors, they need to be included here because of all the innovative work they are doing in the mobile space. custom mobile solutions for the large-scale deployment of enterprise knowledge assets. We included Forio, a leading educational simulation company, in the book that I co-authored with Alex Heiphetz titled Training and Collaboration with Virtual Worlds (McGraw-Hill, 2010). But, they have not been standing still, as they have embraced the “big data revolution” and now have simulations that use techniques of predictive analytics to track and forecast the needs of learners. Overwhelmed by all the information available in the world? getabstract summarizes and rates, in 2 to 5 pages, recent business books for those who do not have time to read them word for word. They also summarize TED videos because there are now too many of those to watch, as well. OnPoint Digital has been working in the mobile learning field since 2001. While their CellCast technology is quite mature, they continue to innovate. Their software has a new custom user interface based on responsive Web design and works in multiple languages across all mobile devices (tablets, handsets, e-readers). OnPoint supports iOS, Android, and Blackberry devices, and is rolling out a new native app for Windows RT. Saltbox is a leading-edge developer of a learning record store (LRS) using the new Experience API (an extension of SCORM). the production of custom reports that summarize data like rankings, cross tabulations, lists, and graphs. Those were the most interesting and innovative companies in the DevLearn exhibit hall this year. Thank you to the Guild for putting on a great conference!